Zambia does not have a national carrier since the collapse of Zambia Airways in 2009. The country therefore relies on international airlines to help develop the local travel and tourism industry, signing open-skies aviation agreements with a number of countries in a bid to boost air traffic into Zambia. Zambia has one international airport - Lusaka International Airport. The Department of Civil Aviation of Zambia is the regulatory agency responsible for air transportation in the country. of services in southern Africa. The airline cooperates with South African LCC kulula, which offers onward domestic connections in South Africa. Capa Aviation. LUSAKA, ZAMBIA � Proflight Zambia will begin flying to Kafue National Park next year, adding a tenth domestic destination to its schedule and opening up the area to tourism. The new addition to the airline�s route network will provide a fast and reliable way for domestic and international tourists to enjoy the world-class safari and wilderness experiences of the park. Proflight will begin operating flights during the dry season, when accessibility and wildlife viewing is at an annual peak, from July 1 to October 31, 2015.If successful it will look at more frequency and a longer season in 2016.Flights will operate on Mondays, Wednesdays and Saturdays to Chunga. The Lusaka � Chunga flight will leave Lusaka at 11:30, reaching Chunga at 12:45. The Chunga � Lusaka flight will leave at 13:05 and arrive in Lusaka at 14:20. This schedule is designed to facilitate numerous connections including international outbound connections with Emirates and South African Airways; domestic outbound connections with Lower Zambezi and Livingstone (Mfuwe for July/August only); and domestic inbound connections with Mfuwe and Lower Zambezi (all days) and Livingstone on Saturdays. In recognition of the size and diversity of the area, Proflight will - on request - operate to Busanga (Plains strip) or Lufupa airstrip, as well as Chunga. Kafue National Park was first established as a National Park in the 1950′s by legendary conservationist Norman Carr. At over 22,000 square kilometres, Kafue is the largest national park in Zambia and among the largest national parks in Africa. Kafue has diverse terrain and holds an enormous range of wildlife. Itis the best place in Zambia in which to see the elusive cheetah. The Busanga Plains in the north of the park is a prime area for big game, where hosts of animals come to forage and hunt. Visitors to Lufupa can get an entirely different experience in its beautiful remoteness, and rarely leave without having seen a leopard. Historically the park has received fewer visitors than other Zambian national parks. Although it is the size of the world-famous Kruger, it is home to fewer safari operators and lodges, allowing visitors to enjoy the environment in an exclusive way. Due to a recent increase in interest in the hidden gem, there has been an improvement in infrastructure including well-graded airstrips and an upgrade in the choice of lodges and accommodation. The airline, which celebrates 23 years of operation this year flies from its base in Lusaka to Livingstone, Ndola, Kasama, Chipata, Mansa, Mfuwe, Solwezi and Lower Zambezi, as well as to Lilongwe in Malawi. For more details on the Kafue schedule contact reservations@proflight-zambia.com and from September 15 all information, fares and schedules will be available on the website and e-brochure. Bookings are also available online at www.flyzambia.com where payment can be made using any Visa, MasterCard or American Express debit or credit card as well as using Airtel Money or PayPal. Proflight, Zambia�s only remaining scheduled airline flying to international destinations as well as serving domestic routes with presently a fleet of 16 single engine, twin engine and turboprop aircraft, has responded to news that FastJet was eyeing an entry into the Zambian market. Started in 1991, some 22+ years ago by former Zambia Airways Captain Tony Irwin, the airline has since grown to be the largest airline, surviving Zambia Airways and Zambezi Airlines, both of which folded. Proflight new serves some 10 domestic and 2 international destinations, the latter being Lilongwe / Malawi and Dar es Salaam / Tanzania. It is from there that the latest competitive challenge has emerged as FastJet will commence twice weekly flights from Dar to Lusaka come 01st November. In response to the announcement of flights from Dar es Salaam to Lusaka by FastJet (T) and the announcement from FastJet PLC about plans to start up an airline based in Zambia, Proflight responded through their Director for Government and Industry Affairs Capt. Philip Lemba as follows: �The FastJet business model is very different from the Proflight model and we feel there is demand for the affordable prices that a low-cost carrier such as FastJet canoffer.Competition in any industry is good as it forces standards to be kept high in products and services. We respect FastJet�s move to provide cheap service for budget travellers and their affordable fares should be good news for the Zambian travelling public�. Capt. Lemba then went on to say: �Our pledge to our customers is to continue offering a high level of service with safety, reliability, efficiency and friendly service as our guiding values. The service we offer allows for ease of booking using a number of distribution channels and interline partners�. ZAMBIA (eTN) - A new airline is starting up in Zambia. This is exciting news as, at the moment, only Proflight offers flights within Zambia, and a little competition is always a good thing. The new company is called Mukuba Airlines and is being set up by a group of Zambian expats and locals. The Zambian expats have been out of Zambia for a while and gained expertise in the airline business and want to come home to put their knowledge to good use to improve their home country. The planning of the new business has been ongoing for the past 2 years, and now is the time to publicize it. The plan is that the airline will be operational before the UNWTO meeting in August. Two planes will be used initially � a Turbo Prop ATR 42-500 and an ATR 72-500, both French/Italian-made. They will be maintained by Air Botswana. The ATR 42 has a carrying capacity of 48; the ATR 72. The Chairman of the company, Mwansa Chalwe, an accountant by profession, stated that the project has been meticulously planned. He hopes that the company will turn around the domestic flight market by making air travel affordable. He also hopes that the company will contribute to investment and tourism in Zambia. Mwansa Chalwe said that the government had been very supportive, and he hopes that once the airline is successful it will encourage other Zambian expats to return home to help develop their own country. In the meantime, the government has continued to research the possibility of resurrecting a national carrier. But airlines in Zambia have had a checkered history. Zambia Airways started its life in 1964 and died in 1995. In 1998, Zambian Airways arrived and survived until 2009 amassing a debt of, it is said, of US$29million. 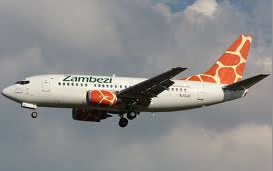 In 2008, Zambezi Airlines started operations, but by 2009 had formed an alliance with Proflight, and then it hiccupped between problems and stopped flying in October of last year. LUSAKA, ZAMBIA � Proflight Zambia begins a new route from Lusaka to Dar-es-Salaam in Tanzania on Wednesday, October 23, enabling fast and affordable links for traders and tourists. The three-times-a-week service marks the second international destination for Zambia�s growing local airline, which started flying to Lilongwe in Malawi in June. Flights will depart from Lusaka�s Kenneth Kaunda International Airport on Mondays, Wednesdays and Fridays, returning the same days. Flight 00020 departs from Lusaka at 0800 hrs. on Mondays and Fridays, and at 1200 hrs. on Wednesdays, arriving at Dar-es-Salaam�s Julius Nyerere International Airport at 1220 hrs. and 1620 hrs. respectively, making it a journey of three hours and 20 minutes, given the one-hour time difference in Tanzania. The return P00021 flight leaves Dar-es-Salaam on the same days at 13:00hrs on Mondays and Fridays and 1700 hrs. on Wednesdays, arriving in Lusaka at 1520 hrs. and 1920 hrs. respectively, enabling smooth connections onto Proflight�s afternoon flights to Mfuwe, Livingstone and Ndola. An additional Lusaka-Dar flight will be operated on Thursday, October 24, to mark Independence Day. 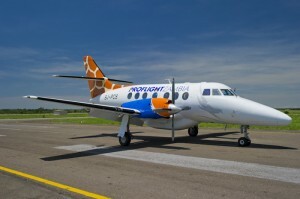 It addition to the new route to Tanzania, which will be operated by the airline�s 29-seat Jetstream 41 aircraft, Proflight will be increasing the frequency of its Lilongwe flights from three-times-a-week to four flights a week from November 16, operating on Mondays, Wednesdays, Thursdays and Fridays. Proflight also flies to nine domestic destinations within Zambia: Lusaka, Livingstone, Mfuwe, Lower Zambezi, Ndola, Solwezi, Chipata, Mansa and Kasama, with Mongu being added to the schedule from November 27. The airline is now considering services to Harare, Tete and Johannesburg, subject to regulatory approval. Proflight Zambia, has unveiled an unprecedented reduction in its fares in a move designed to provide more affordable air travel ahead of the United Nations World Tourism Organisation General Assembly (UNWTO) in August. According to a statement released by Proflight Zambia yesterday the new package of fares is also aimed at encouraging passengers to plan ahead and book their flights earlier, and has been made possible by the impending introduction of a 108-seater Boeing 737 aircraft that will reduce the airline�s operating costs on its trunk routes to Ndola and Livingstone. Airlines� Director of Government and Industry Affairs Capt. Philip Lemba said Passengers who book more than 14 days in advance can now fly from Lusaka to Ndola or Livingstone for just KR250, with similar savings across the board on Proflight�s other routes, Chipata, Mansa, Kasama, Lower Zambezi and Solwezi. �With flight times of close to an hour on most routes, Proflight can now offer travellers a journey that competes favourably with road travel on both time and price,we have listened to the concerns of passengers and regulators about the cost of airfares, and now, thanks to the introduction of the 737 aircraft, we are able to respond to those concerns and reduce costs,� explained Capt. Lemba. He urged people to support their local airline and ensure the carrier becomes a standard-bearer that the nation can be proud of. Proflight Zambia�s decision to reduce fares comes in the wake of its plan to introduce a 108-seat Boeing 737 to its fleet, dramatically reducing the per-seat operating costs of its flights. 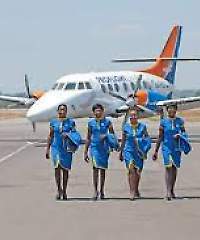 The twin-engine jet plane marks a milestone for Zambia�s only scheduled airline, which celebrates 22 years of operation this year. Lemba said the aircraft is expected to be in place for the UNWTO conference in Livingstone in August, and will play a pivotal role in getting delegates to the venue, and raising the nation�s standing in the eyes of the world�s tourism industry. Proflight Zambia is a Zambian airline based at Lusaka International Airport. scheduled and charter domestic services. Capa Aviation.